In my last post, I wrote about using Elizabeth Shown Mills’ FAN principle with an emphasis on godparents, as a means to extend one’s family history research in the absence of direct evidence. As Mills defines it, “FAN” is an acronym for Friends, Associates, and Neighbors, and godparents fall squarely into that category. Previously, I had analyzed data from the Polish vital records database Geneteka, and discovered a woman named Marianna (née Naciążek) Kowalska, who might have been a cousin or sister of my great-great-grandmother, Antonina Naciążek. To gather additional evidence to substantiate this hypothesis, I examined the godparents of Antonina’s children to see if Marianna Kowalska was named among them. Sure enough, one of the godmothers was a Marianna Kowalska, and even given the popularity of the Kowalski surname, it seems likely that she is the same as the woman I suspect to be my great-great-grandmother’s sister (or cousin, at least), under the circumstances. As you can see, the parents of Georg Schulmerich are not mentioned. The record indicates that he was married previously, however, which is a valuable clue. Perhaps his first marriage record contains his parents’ names? A search of indexed records at Family Search suggests that Georg’s first wife was Apollonia Weber, as there are a number of birth records for children of Georg Schulmerich and Apollonia Weber that can be found in the parish records for Weinolsheim, just 5 km north of Hillesheim. Unfortunately, no marriage record for Georg and Apollonia was found in any of the indexed records on Family Search, nor was I able to find one in the microfilmed records for Weinolsheim that the indexers might have missed. Assuming that Georg was at least 18 when he married, and probably a few years old than that, this suggests a birth year between about 1761 and 1768. Lo, and behold! There’s a birth record that fits perfectly for Johann Georg Schulmerich in in the records of Hillesheim in 1766 (Figure 3). In translation, this record reads, “[On] 27th December in Hillesheim was baptized Johann Georg, [son of] the lawful spouses Philipp and Margaretha Schulmerich, [who was] lifted up by Johann Georg Lindhoff.” The word “levabet” that appears in this record is presumably a misspelling of “levavit,” meaning, “lifted up.” This is a reference to the child’s godfather, who lifts him out of the waters of the baptismal font during the sacrament of baptism. The record even includes Johann Georg’s death date, 20 March 1836, in the marginal note. This is another valuable clue because it suggests that the Johann Georg Schulmerich who was baptized here, remained in the parish until his death, which is consistent with what we know of “my” Johann Georg Schulmerich. For those who might not be familiar with German genealogy, it’s worth mentioning that the difference in the names used on the marriage and baptismal records, “Georg” on the marriage vs. “Johann Georg” on the baptismal, is not cause for concern. According to German tradition, it was common for all the boys in a family to be baptized with the first name Johann, and then called by their middle name (see this article for more details). So although the names on the records are not a problem, and the date of baptism fits with what we’d expect for “our” Johann Georg Schulmerich, there is still the problem of no maiden name for Margaretha Schulmerich. Maybe it’s recorded on the birth record of one of their other children? A search in the indexed records at Family Search for children of Philipp Schulmerich and Margaretha, no maiden name specified, results in four birth records, which are summarized in Figure 4. Figure 4: Summary of Information Recorded in Baptismal Records for Children of Philipp and Margaretha Schulmerich. From this, we can guess that Philipp and Margaretha Elisabeth were married circa 1765-1766, since Johann Georg appears to be their oldest child. Although the spacing of births is typical, the relatively small number of children suggests that Margaretha died young, assuming that she was in her late teens or early 20s when she began having children. Once again, a search of the indexed records for the Rhinehessen region on FamilySearch failed to produce Philipp and Margaretha’s marriage record or a death record for either of them, nor were these found in a subsequent search of microfilmed records. However, the fact that Johann Georg remained in the parish, as did his sister Anna Elisabeth, suggests an error or omission on the part of the priest keeping the records, rather than a migration out of the area. So, is this the end of the line? Can we learn anything more about this family? Of course we can! Note that two of the godmothers had the maiden name Hausmann, and one was a Schulmerich. The godmother, Maria Magdalena Schulmerich, might have been either a sister or sister-in-law to Philipp, but the sparsely available records from this time period offer no insight there. However, a search for Anna Elisabeth Hausmann’s birth record turns up a promising candidate: one Anna Elisabeth Hausmann, born in 1744 in Hillesheim (Figure 5). Nicolaus and Christina Hausmann! Might there be more records for their children, and might these records include evidence for a daughter named Margaretha Elisabetha? Since her oldest son, Johann Georg Schulmerich, was born in 1766, we can guess that Margaretha would have been born circa 1746. And voilà! The FamilySearch index shows nine births to Nicolaus and Christina Haussmann including the births of daughters Margaretha Elisabetha in 1743 (Figure 6) and Maria Charlotta, who was noted as the godmother of Maria Charlotta Schulmerich. Taken all together, this is pretty good indirect evidence that Margaretha Elisabeth Haussmann, daughter of Nicolaus and Christina, was the wife of Johann Georg Schulmerich. Paying attention to the names of the godparents paid off, and I was able to push the family tree back one more generation. It should be noted that this information is only available when one views the images of the parish register on microfilm — the FamilySearch index does not include godparents’ names. This is one of many reasons why one should never rely solely on the information found in an online index, which is a common rookie mistake. So the next time you think you’ve hit a brick wall with researching your Catholic ancestors, take a look at the list of people they asked to be godparents to their children. You just might find some clues in there! 1 Roman Catholic Church (Nieder Saulheim [Kr. Oppenheim], Mainz-Bingen, Rheinhessen, Germany), “Kirchenbuch, 1756-1797,” 1797, Marriage record for Georgius Schulberich and Anna Margaretha Appelmaenn. ; FHL Film #997333 Item 2. 2 Roman Catholic Church (Weinolsheim [Kr. Oppenheim], Mainz-Bingen, Rheinhessen, Germany), “Kirchenbuch, 1740-1876,” Baptisms, 1787, record for Anna Maria Schulmerich. ; FHL Film #949088. 3 Roman Catholic Church (Weinolsheim [Kr. Oppenheim], Mainz-Bingen, Rheinhessen, Germany), “Kirchenbuch, 1740-1876,” 1766, Baptisms, record for Johannes Georgius Schulmerich; FHL Film #949088. 4 Roman Catholic Church (Weinolsheim [Kr. Oppenheim], Mainz-Bingen, Rheinhessen, Germany), “Kirchenbuch, 1740-1876,” Baptisms, 1768, record for Anna Elisabetha Schulmerich; FHL Film #949088. 5 Roman Catholic Church (Weinolsheim [Kr. Oppenheim], Mainz-Bingen, Rheinhessen, Germany), “Kirchenbuch, 1740-1876,” 1770, Baptisms, record for Maria Magdalena Schulmerich; FHL Film #949088. 6 Roman Catholic Church (Weinolsheim [Kr. Oppenheim], Mainz-Bingen, Rheinhessen, Germany), “Kirchenbuch, 1740-1876,” 1773, Baptisms, record for Maria Charlotta Schulmerich; FHL Film #949088. 7 Roman Catholic Church (Weinolsheim [Kr. Oppenheim], Mainz-Bingen, Rheinhessen, Germany), “Kirchenbuch, 1740-1876,” 1744, Baptisms, record for Anna Elisabetha Haussman; FHL Film #949088. 8 Roman Catholic Church (Weinolsheim [Kr. Oppenheim], Mainz-Bingen, Rheinhessen, Germany), “Kirchenbuch, 1740-1876,” 1743, Baptisms, record for Margaretha Elisab. Haussmann; FHL Film #949088. Featured Image: Pietro Longhi, The Baptism, Courtesy of Wikimedia Commons, accessed on 11 January 2017. “Raindrops on roses, and whiskers on kittens, bright copper kettles, and warm woolen mittens….” Like Maria in The Sound of Music, we all have lists of our favorite things. For me, there are quite a few Polish genealogy websites that are on my list of favorite things. With that in mind, and with Christmas right around the corner, here are some of my favorite online resources for Polish genealogy. Some of these bear futher mention in future blog posts, and I’ll probably get around to discussing them in greater detail at some point. For now, give it a look, maybe you’ll find something new that will help with your research. (And in case you were wondering, I’m calling it “50+” because some of the links are to related sites, so number them as you wish.) Happy hunting! An indispensable Soundex-type (phonetic) gazetteer for identifying villages for which the name is spelled incorrectly on a U.S. document. For more hits, try using the Daitch-Mokotoff Soundex, rather than Beider-Morse Phonetic Matching. This is a fantastic site for determining parish for villages in the eastern border regions (Kresy) that formerly belonged to Poland (Second Polish Republic) but are now located in western Ukraine, western Belarus, and southeastern Lithuania. Soundex-style allows you to search without knowing the exact spelling of the place name, if you select “similar” (Daitch-Mokotoff Soundex) or “rough” as your search method. Does not show parish for a village, but does show current administrative divisions including the gmina (useful if you want to write to the USC for a record less than 100 years old). Only shows villages within current borders of Poland. 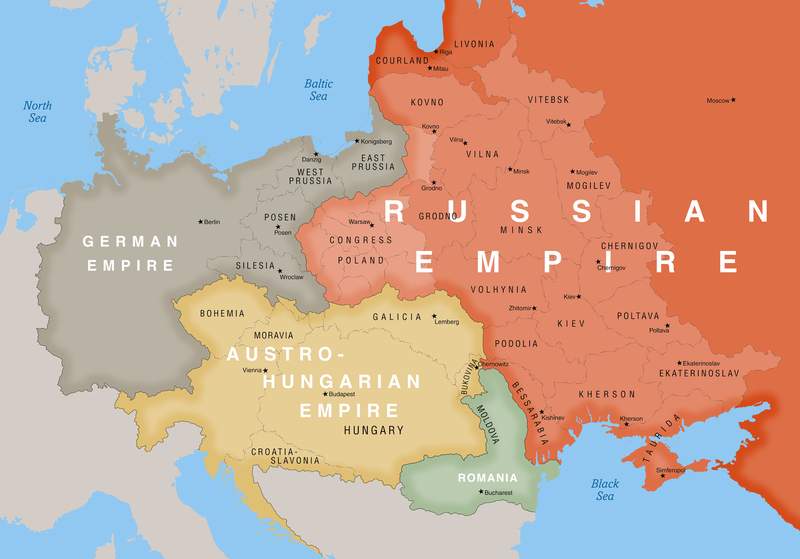 Coverage includes all localities in the former Polish provinces of Russia, most localities in the former Austrian province of Galicia (now divided between Poland and the Ukraine), Belorussian provinces of the Russian Empire (now in the Republic of Belarus), and also contains significant localities in other Slavic and eastern European nations; Russia, Slovakia, the Czech Republic, Hungary, Slovenia, Croatia, Serbia, Bulgaria and Romania. While the information is a bit less comprehensive, localities from the provinces of Poznan, West Prussia, East Prussia, Silesia, and Pomerania are also covered. Published between 1880-1902 in 15 volumes. Contains information on parishes, history, population, etc. Defines abbreviations and explains historical context for Słownik entries; also offers English translations for a limited number of villages. Similar to the above site, but different coverage. Will need to install a Deja Vu reader onto your computer to read these files. Follow instructions at website for downloading (the site will prompt you) or you can download it here. Running the most current version of Java is also important. Easy-to-read, tabular format shows name of village, gubernia/governate, powiat/county, gmina/township, parafia/parish, as well as sąd pokoju/courthouse, and poczta/post office. Includes only the Kingdom of Poland (Congress Poland, or “Russian Poland”) – not Galicia or Prussian Poland. The Tabella is similar to the Skorowidz Królestwa Polskiego in that it covers the same territory (Russian Poland). However, it was published 50 years earlier, in 1827, so may be of value if you need to focus on that earlier time period. Includes Eastprussia, Westprussia, Brandenburg, Posen, Pomerania, and Silesia. Flexible search parameters; can search by German or Polish name of village, or use other methods. Catholic or Evangelical parish for the village is usually included in search results. If you’ve got the correct spelling of a town, this is a great resource because it includes places of worship for people from all towns and villages in Galicia as of 1900. This German-language database includes locations around the world. It searches for the character string typed in the search box (truncate by leaving off as many letters as desired). The results list includes the type of location, the higher level jurisdictions, and the current postal code, and includes links to additional articles about this place for further reading. This is an online, searchable version of the popular Meyers Orts- und Verkehrs-lexikon des deutschen Reichs The goal of the Meyer’s compilers was to list every place name in the German Empire (1871-1918). It gives the location, i.e. the state and other jurisdictions, where the civil registry office was and parishes if that town had them. It also gives lots of other information about each place. Click the “Ecclesiastical” link in the menu bar at the top to see the distance in miles from the target location to the nearest Catholic, Protestant and Jewish places of worship. Not an online resource, but this gazetteer is available in print from the author, and is considered to be a superlative resource for those with ancestors from Galicia. Like the Skorowidz of 1877, you need a Deja Vu reader to view these files. Tabular format includes columns for village name, the county and district council, district court and tax office, parish office, population, post office, klm distance (from the post office), telegraph office, klm distance (from the telegraph office), and the owner of the “Major estate” in a village, as opposed to the owners of the “minor estates” (commoners). Roman Catholic parishes are distinguished from Greek Catholic by the use of “ł” (abbreviation for “łaciński,”) or “gr” (abbreviation for “grecki”) next to the name of the parish that served that locality. The word “loco” means that there was a parish within that location. Published circa 1933, it covers locations that were within the borders of the Second Polish Republic (1918-1939). Tabular format again, includes villages in the eastern border regions (Kresy) that formerly belonged to Poland but are now located in western Ukraine, western Belarus, and southeastern Lithuania. Contrary to what the name suggests, maps include places that were in Russian Poland and Prussian Poland. Individual maps can be downloaded by right-clicking on them. 1:200,000 scale resolution shows most small villages. Place names may be in Polish or German. Does not cover the northern third (approximately) of modern Poland. Mapywig is a treasure-trove of maps in a variety of different scales, time periods, and resolutions. Maps might be in Polish, German or Russian. An overview (in English) can be found here. Clicking on a map quadrant in the index will take you to a page showing all the maps available for that quadrant, which vary in resolution and date of map. Offers full coverage of northern Poland, unlike the maps at the Lazarus site (above). This is a really fun site if you have ancestors from Galicia. It includes maps from the first, second and third military surveys of the Austrian Empire and allows you to overlay these maps with modern maps and vary the transparency between the two. Note: Sites marked with * are primary sources, at which actual images of the records can be obtained. Sites marked with § are indexes for records; copies of the records themselves must be obtained from another source. Not an online source for records, but all researchers should be aware of this option nonetheless. Check back regularly — the FHL has been digitizing more and more of their microfilms and changes are NOT reflected on their “Poland Research” page (below). You may be pleasantly surprised to discover that some of your favorite microfilms are now online. Collections exist for Roman Catholic dioceses of Lublin, Radom, Częstochowa, and Gliwice, with images; index-only records exist for the Diocese of Tarnów. There’s also a collection of curiously-named “Evangelical” Church records. 1700-2005, that not only includes Baptist and Lutheran records but also Greek Catholic records from Sulmice in the Lublin province. Use proper Polish diacritics for best results. Often you’ll get results without them, and it may be an old bug that has since been fixed, but if you get no results without diacritics, repeat the search with them. For best results, search according to parish or gmina name rather than village name. The exception for this is for records from Galicia/Austrian Poland, where separate books were kept for each village within a parish, so you may find villages indexed individually. Check box for “Vital records and civil registers” to limit search results. Must create an account at http://genpol.com/ first in order to access records, and must log in each time. Some overlap with Metryki.Genealodzy.pl in terms of records collections, but contains many parishes not found elsewhere online. Use of site in Polish is recommended; portions of site are not usable in English (am error message will result — although again, this might be an old bug that has since been fixed, as I haven’t had this happen in a while). Surname-indexed records searchable by individual parish or entire province. Can input a second surname to find all children of a given couple; can also limit range of years. Polish diacritics not important, and searches for the masculine version of a surname will return results for both genders (i.e. “Zielinski” à Zieliński and Zielińska). Can be helpful if only some information about an ancestors’ birthplace (e.g. county) is known, but not the precise location; however, only a small fraction of Polish parishes are indexed to date, so there is a risk of chasing down the wrong ancestors if Geneteka is used in an attempt to side-step preliminary research in U.S. documents. Some indexed records are linked to scans of documents within the Metryki.Genealodzy.pl collection or at Szukajwarchiwach. More than just a repository of scans for records indexed at Geneteka, Metryki often contains different parishes or different ranges of years for parishes indexed on Geneteka. See this post for more information. Records waiting to be indexed and added to Geneteka. Click on “Wejście” (entrance) to get to the directory of parish records, grouped according to the archive from which they were obtained. Roman Catholic, Greek Catholic, Jewish, and Protestant records from parts of Eastern Poland which are now located in Ukraine. Has Roman Catholic and Greek Catholic records from parishes in the Przemyśl area. Most of these records are also available from Szukajwarchiwarch, but there are a few parishes for which records are only online here, and NOT at that site as well. Has vital records from some villages in this area formerly located in East Prussia; click “Skan Digitalizacja,” and then use the drop-down menu under “Nazwa zespołu” (name of the collection) to find a town based on current Polish names, or use “Nazwa oryginala” to look up record sets based on former German names. Has vital records from some villages in this area formerly located in the Prussian province of Pomerania. Scroll down the page to see the available locations, listed in the column on the left. Viewing records requires the installation of the DjVu plug-in, so the site works best with Internet Explorer and appears to be incompatible with some versions of Google Chrome (like mine). Has Lutheran church records from parishes located in the former German provinces of Posen, West Prussia, East Prussia and Silesia, with over 20 million scans online. Searching is free, but a subscription is required to access scans. Has Lutheran church records for four places in Lower Silesian Voivodeship (województwo dolnośląskie), Siedlęcin/Boberröhrsdorf in Jelenia Góra County, 1748-1914; Sobieszów/Hermsdorf in Jelenia Góra County, 1742-1916; St. Elizabeth’s Church in Wrocław, 1750-1945; and St. Bernhard’s Church in Wrocław, 1812-1906. Has vital records for locations that are in present-day Lithuania. Has vital records for locations in the Kujawsko-Pomorskie, Pomorskie, Wielkopolskie, and Warmińsko-Mazurskie provinces. A relative newcomer to the Polish vital records scene, this site is somewhat infamous for its awkward and slow user interface. However, attempts are being made to resolve some of these issues, so there’s hope. Has some Roman Catholic, Protestant, and Jewish vital records for some locations in Upper Silesia; original records are held by the State Archive in Katowice. Records can be browsed online via Dropbox. Extended search allows you to restrict search to a give range of years, type of document, distance from a specified location. One can create an account, register surnames of interest, and they will e-mail you when new records for those surnames are added. Has indexed vital records for Lublin area, many with scans attached. Polish diacritics don’t matter (i.e. “Zielinski” yields same result as “Zieliński”) BUT masculine or feminine version of surname DOES matter (i.e. “Zielinski” yields different results from “Zielinska”). Indexed records from parishes in Słupca and Kalisz counties; Jewish records recently added for Słupca. Many results linked to scans from the Polish State Archives. Indexed civil and church vital records from Pomerania. Go to “PomGenBase” in menu bar at the top of the page and then select “Search PomGenBase” followed by the type of records you wish to search. Alternatively, select “Metrical Book Indexes” followed by “Parish and Registry Offices” to see the full list of parishes and years currently indexed. Polish diacritics DO matter IF you choose “search directly” (i.e. “Wolinski” yields different results than “Woliński”). Can use wildcard characters (“?” replaces one letter, “*” replaces more than one) if you’re not certain of the spelling. Indexed marriage records from the Poznan region, 1800-1899, currently about 80% complete. One may request a copy of a single record by clicking “original record” and requesting it from the archive, OR it may be requested from the site’s creator, Lukasz Bielecki, with a donation to the project. However, clicking the parish name in which the record was found will yield a list of LDS microfilms for that parish, and by searching these one is likely to find not only that marriage, but also many other vital records for one’s family. Click on “indeksy” in menu at left, and then on “indeksy” again to reach the list of indexed parishes. Records for Szlachta (noblemen), primarily from northeastern Poland. Has indexed vital records for the Dobrzyń region of Poland. Society for German Genealogy in Eastern Europe; public database includes indexed Lutheran vital records for select parishes in Volhynia, Kiev and Podolia, and Lublin. Has indexed church and civil vital records from 19th century Wołyń/Volhynia (eastern Poland/Belarus/Ukraine). English-language search portal yields results that are linked to scans at the AGAD site. Polish diacritics are not required to search this site. Has indexed birth, marriage and death records from Zieluń parish in gmina Lubowidz, Mazowieckie province, from 1822-1912, linked to scans in Metryki. Note that the range of indexed years is broader at this site than what’s available on Geneteka. To navigate between births, marriages and deaths, click on the icons of the star (births), wedding rings (marriages), and cross (deaths) located between the column with the years and the column with the names. This group is indexing records for the parishes of Jaminy, Krasnybór, Sztabin, Bargłów Kościelny, and others in Augustów county, Podlaskie. The search form for their indexes is found here: http://search.jzi.org.pl/geneo/. Has indexed vital records for several Lutheran and Roman Catholic parishes in the Płock area (under “Genea”). Has indexed vital records from a number of parishes in the Częstochowa area. Must create an account in order to search records. Pre-WWII era genealogical data for individuals living in the Volhynia region (which straddles eastern Poland, Belarus and Ukraine), grouped by village name. Click on “Alfabetyczny spis miejscowości” at the top of the page for an alphabetical list of villages covered; each listing provides contact information to connect with others researching those families. Assorted records transcriptions from parishes across Poland. Data from Catholic parish registers; village is in Wrocław County, Lower Silesian Voivodeship. Enter a parish or gmina/township name for a complete list of the vital records holdings of the Polish State Archives for that location. If records are found, you can write or e-mail the archive to request a search of records for a particular record or records. See this post on writing to archives in Poland. This site is a great finding aid for vital records in Russia, Ukraine and Belarus, organized by geographic region within each country, with links to archives, gazetteers (in Russian) and other resources. In my last post, I discussed some of the reasons why census records from Poland aren’t the first-stop, go-to source that they are for many of us when researching our ancestors in America. This is not to suggest that it’s not possible to find census records of one type or another for your ancestors in Poland, and as genealogists, we like to leave no stone unturned, gathering every bit of data we can about our ancestors. However, existing census records may not be indexed by surname, meaning that it will take more effort on the part of the researcher to find these records, since one might have to browse through them page by page. More importantly, there’s no single name under which census-type data will consistently appear, so researchers should try several different search terms. And as always, the most imporant consideration isn’t what the records are called or whether they’re indexed — it’s whether or not any have survived and are available for one’s town or village of interest. So where can one find these records? Online sources are limited, but one developing resource is the Meldunkowe database hosted by the Polskie Towarzystwo Genealogiczne. Meldunkowe is a sister database to the popular databases Geneteka and Metryki, and at present, it only includes records for 37 locations, 31 of which are in the Kujawsko-Pomorskie province. There are an additional 3 sets of records from the Wielkopolskie province, as well as 3 more collections from a handful of parishes in Ukraine. Most of the records fall under the category of “Księgi Ludności Stałej” (“Books of the Permanent Population”), although a few other types of records (e.g. passport applications) are included as well. The collections from Ukraine are all parish census records. In some cases, indexes do exist for the Księgi Ludności Stałej — look for the word “skorowidz” (index) and brush up on reading your ancestors’ names in Cyrillic cursive, because many of these indexes (as well as the records themselves) are in Russian. Another possible source for online census-type records is the old standby, Szukajwarchiwach. If you have never used this resource, it’s probably best to start with the quick tutorial offered here. There are a number of different ways to search for records. One might start with one’s town of interest with or without a keyword like “Spis” to help narrow the search results. Polish diacritics are not required with this site. Since you’re looking for census records, be sure that you don’t check the box for “vital records and civil registers” (old habits die hard….). As discussed previously, census-type records can be called by different names, e.g. “Księgi Ludności Stałej,” “Spis parafian,” “spis parafialny,” “Ewidencje Ludności,” “Regestr Ludonosci,” etc., so you might try searching using several different keywords. Keep in mind that there might be more than one place in Poland with the same name. For example, one of my ancestral villages is Zagórów in Słupca County, but a search for “zagorow spis” at Szukajwarchiwach includes a result for Spisy ludności województwa krakowskiego z lat 1790-1791: II. Parafie powiatu krakowskiego na litery A-K which translates as, “Censuses of Kraków province for the years 1790-1791: Parishes in Kraków County beginning with letters A-K.” The “scope and content” for this particular unit names the villages belonging to each parish covered by the census, and one of those villages is Zagórowa in Olkusz County — not my place of interest at all. You might be lucky enough to find some census records for your town of interest at one of the Polish digital libraries. This search engine for the Federacja Bibliotek Cyfrowych (FBC, Federation of Digital Libraries) can be used to search the holdings of a number of different Polish libraries and archives simultaneously. Another good search engine for digital libraries is Europeana. As the name suggests, it includes results from digital libraries all over Europe. It should be noted that Europeana taps into FBC, so search results for Polish census records might not vary too much between the two sites. Again, searches should be conducted with a variety of search terms for best results, and again, both of these search engines are forgiving when it comes to Polish diacritics, so a search for “Mlodzieszyn” will return the same results as one for “Młodzieszyn.” Be aware that many European digital libraries utilize the “DjVu” file format, which is similar to PDF. You will need to have a DjVu reader installed on your computer, however, which you can download here. As with any type of records, census records available online represent only the tip of the iceberg for what’s out available. If you don’t mind paying the archives or a researcher in Poland to access records for you, there is an entire database in the Polish State Archives for census records. It’s called Baza ELA, and you can search it here. ELA is an acronym for Ewidencje Ludności w Archiwaliach, “Population Registers in Archival Material.” A detailed list of the types of records found in this database is provided along with the acronyms and abbreviations that will help you interpret your search results. (Hint: Copy and paste into Google Translate, or use Chrome as your browser and right-click on the page to translate to English.) Many of these records tend to be from the early 20th-century, rather than the 19th century, but you might find something of interest. For example, I have ancestors from Sochaczew county, and a quick search on “Sochaczew” resulted in a potentially enlightening document from 1892 entitled, “spis cudzoziemców zamieszkałych w pow.sochaczewskim,” or “List of Foreigners Residing in Sochaczew County.” Documents like this are a bit of a gamble — they could provide critical clues, or they might be worthless to my research. If I had reason to suspect that my family moved to Sochaczew from, say, Prussian Poland circa 1892, something like this could be very important, especially if it included details about where the “foreigners” lived previously. But given that time and money are limited resources for all of us, it’s up to each researcher to decide if his research dollars are best spent investigating a document like this one, versus (for example) obtaining vital records from a parish of interest whose records are not available online or on microfilm. Note that if you do find something of interest in the ELA database, you should double check to see if it’s online at Szukajwarchiwach before requesting anything from the archive or hiring a researcher. Finally, you might get lucky and find census records for your parish of interest via a Google (or Google.pl) search. Occasionally individual researchers will create online databases for census records that they’ve obtained personally. One good example of this is Debbie Greenlee’s database of Spis Parafialny records from Bukowsko parish in Sanok County. Over time there might be more websites like this cropping up (hey, a girl can dream…. ), so it never hurts to give Google a try. So there you have it, my friends: five quick and easy places to mine for those nuggets of genealogical gold for your ancestors in Poland. Polish census records might not be your fall-back when you can’t find great-uncle Jan’s baptismal record in the same parish were all his siblings were baptized, but they can still provide valuable insights into the lives of your ancestors, and they’re worth seeking out. Until next time, happy researching! Those researching their Polish ancestry often wonder wonder how they can find census records for their ancestors in Poland. Most of us American researchers have come to rely on the census as a first step in researching our ancestors, and there are good reasons why we love it. Census records provide a “snapshot” of our families at different points in time, revealing names, ages and relationships of family members, as well as other important details such as year of immigration, year of naturalization, how many children a woman had, and more. Most importantly, the census has been digitized and indexed, which allows us to find our ancestors with relative ease, even when they migrate around the country. It seems natural, then, that people would want to find similar records for their ancestors in Poland. So where are these records? The answer is a bit complicated, and depends on our understanding of the history of census-taking. Censuses have been conducted since ancient times. Remember the Census of Quirinius mentioned in the Bible, in which Joseph and Mary had to travel to Bethlehem to be counted? Perhaps in recognition of the logistical problems of “no room at the inn” created by having an entire population move around, more contemporary emperors have conducted censuses by having enumerators go door to door, counting people where they lived. The purpose of any census was usually to provide information for taxation and military conscription as well as statistical information about the population, which might include ethnic minorities living in a given area, languages spoken, religious affiliation, etc. Here in the U.S., the census was mandated by the Constitution, and has been conducted every ten years since 1790. However, since Poland did not exist as an independent nation from 1795 until 1918, there could be no “national census of Poland” during this time. Rather, censuses were conducted at different times and in different places by the Russian, Prussian, and Austro-Hungarian Empires which occupied Polish lands. In the Russian Empire, a large census was conducted in 1897, although it’s worth noting that this census was criticized for undercounting Poles and overestimating those with Russian ethnicity. Similarly, the German Empire conducted a census in 1895, which was criticized for lowering the number of Catholics and ethnic Poles in German-occupied lands. Many additional censuses were conducted (a nice summary of which can be found here), but in many cases, original returns have not survived, and only statistical summaries remain. In addition to these governmental census records, some religious census census records survive for Poland. Each Catholic parish priest conducted an annual census of his parishioners, which was called “Status Animarum” in Latin, or “Spis Parafialny” in Polish, an example of which can be seen here. The original intent of these censuses was to allow the priest to verify that his parishioners were receiving the sacraments as appropriate, but these censuses eventually grew to include addresses and ages of household members. The result of all this history is a patchwork of records that includes parish censuses, tax lists, population registers, conscription lists, etc. Some of these are available online (more about where to find those in my next blog post), and more are coming online every day. But the backbone of research in Polish records is vital records. The Polish archives and genealogical societies have been going to great lengths to get more and more of these vital records—both the original church records, and the civil copies—digitized, indexed, and online. In fact, one might wonder why we here in the U.S. chose to prioritize the digitization of census records over vital records. While we in America tend to think in terms of this separation of church and state, the same is not true in Poland, or elsewhere in Europe. As I wrote previously, church officials frequently served as civil registrars throughout Poland, and parish record books were recognized as legal documents. The practice of making duplicate copies of church books for civil authorities dates back to the late 18th century across much of modern-day Poland, and these duplicate copies serve as our foundation for Polish genealogical research. The greater availability of vital records relative to census records does require a bit of a shift in mindset for American researchers. Instead of having a decennial snapshot of your ancestral family groups indicating the names of all the family members, researchers will have to discover those names through careful analysis of parish records. Although more time-consuming, the result is ultimately more complete, as a survey of U.S. census records will omit any children who died in infancy between census years. In many cases, Polish vital records themselves will provide guideposts to migrations of the family. Marriage records will usually state where the bride and groom were born, and where their parents are living at the time of the marriage. But what happens if a couple moves around during their childbearing years? One might suspect such an occurrence if there is an unusually large gap (more than about 3 years) between births to a married couple in the records for a particular parish. It’s times like this that indexed records can be very, very helpful. In their absence, a researcher is often faced with the task of searching parishes in the surrounding area more or less at random, unless other clues are available which suggest where the family might have gone (e.g. a child’s godparent with the same surname as one of the parents is living in another local parish). Still, what about those researchers who have no clue where in Poland their family originated? Indexed vital records would certainly make life a lot easier for them, too. At present there are a number of popular indexing sites available for vital records in Poland. The most comprehensive and ambitious of these is Geneteka, which aims to cover every province within Poland today as well as offering limited coverage in areas that were once part of Poland but are no longer. Other indexing efforts, such as Lubgens for the Lublin area, BaSIA and the Poznań Project for the Wielkopolskie province/Poznań area, the Pomeranian Genealogical Society database for the Pomerania region, and other, smaller efforts, are strictly regional and don’t aim to include full coverage of Poland. The situation is very reminiscent of the way things were here in the U.S. in the late 1990s and early 2000s, when numerous small indexing projects existed for census records, prior to the completion of indexing efforts by Ancestry.com, FamilySearch, and others. Although all these Polish indexing efforts are presently free and not behind a paywall, the sponsoring genealogical societies rely on donations to pay for servers and keep the records online. At some point in the future, tracking your ancestors’ migrations through indexed records in Geneteka might be as easy as finding them in indexed census records in the U.S. Geneteka’s search engine is powerful enough to allow for some pretty great searching already, especially now that it’s possible to search using two different surnames (e.g. father’s surname and mother’s maiden name). New indexes (i.e. new parishes, registry offices, or new ranges of years for parishes or registry offices for which coverage already exists) are being added all the time, but the vast scope of this project — indexing over 300 years’ worth of records from every parish, synagogue, other place of worship, or civil registry office in an area of about 121,000 square miles — means that it will take some time before coverage is even close to complete. So for now, the best approach is still to accurately determine one’s ancestors’ place of origin in Poland, using U.S. records, before attempting research in Poland, rather than hoping to get lucky with indexed vital records. In my next post, I’ll review some options for those intrepid and hardy souls who still hope to find actual “census records” of one type or another for your ancestors in Poland. Until then, happy researching!